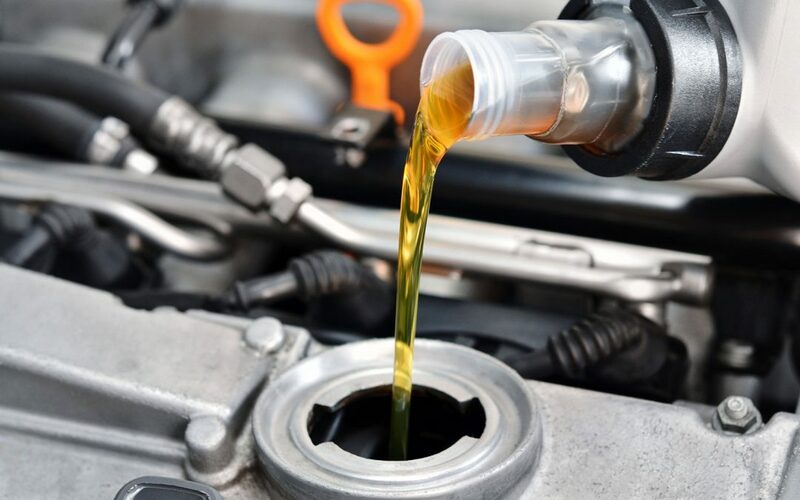 Oil changes are a regular and critical part of vehicle maintenance. Oil plays an incredibly important role in your car’s performance. Oil keeps your engine running smoothly and efficiently, by lubricating the engine to avoid friction from metal scraping on metal. All oil has a shelf life, and must be changed on a consistent basis to continue to be effective. How do you know when it is time for oil change? When oil is new and useful, it will be a light honey brown color. The oil will become black and viscous when it begins to deteriorate. Once there is debris and other contaminants floating in the oil, it is time for an oil change, and possibly a filter change as well. If your oil is working efficiently, your car’s engine should be purring and fairly quiet. Once the oil gets old and dirty, the engine will become louder and may produce grinding and clunking noises. Most cars will have an oil gauge on the dashboard that will let you know when it is time for a check up. If the engine light coming on, may also indicate an issue with the oil. If any of these lights are illuminated on your dashboard, it is a good idea to take your vehicle in for servicing. You can use the dipstick to check the oil level yourself to ensure there is an appropriate level in the tank. If levels are low, it is a good indication that the oil is too old and is getting burned up more quickly because it is no longer effective. One of the most reliable methods for knowing when to change your oil is by figuring out the last time it was changed. It is recommended to change your oil every 3,000- 5,000 kilometres. Check your owner’s manual for maintenance schedules. The most important factor is following recommendations laid out in the owner’s manual. You don’t want to stray too far from the suggested schedule, as there may be conditions set in the manual that will void the warranty if not followed correctly. The climate you live in will also play a role in determining how often your oil should be changed. Extreme cold, especially if only driving for short distances, can cause moisture to build up in the engine and lead to quicker contamination of the oil. Hot temperatures can also be detrimental, even more so in stop-and-go traffic.